Read about how lost & found cell phone leads to found ski legend, Bishop Builders’ photographer, Fred Lindholm! This article appeared in the September-October 2013 issue of Skiing History, the bimonthly journal of the International Skiing History Association. 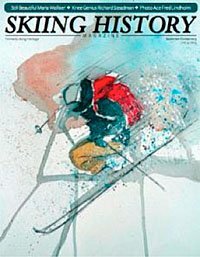 ISHA is a nonprofit organization dedicated to preserving skiing history; it publishes Skiing History six times a year and run's the world's largest ski-history Website: www.skiinghistory.org. Alec Barfield is a freelance writer and skier who lives in Ketchum, Idaho. This is his first article for Skiing History.